I love the word "grateful." It has more depth and a sense of appreciation to me than say its fellow synonyms, "thankful" or "appreciative." I remind myself often to incorporate this word and its meaning into my heart and vocabulary. This past week has proven especially easy to do just that. Through a confluence of perfect circumstances (and some persistence), this week I've found myself being welcomed onto the University of Chicago Celiac Disease Center Advisory Board! I'm still pinching my arm trying to believe this wonderful occurrence and opportunity are really taking place, though all of the board's warm and welcoming emails and phone calls should have convinced me by now this is my new reality. I couldn't be happier or more humbled or...thrilled! 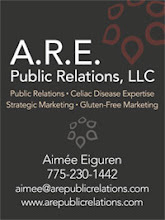 This group is truly doing amazing, ground-breaking work in the Celiac Disease world. Just this week they were honored by US News & World Report ranking Dr. Stefano Guandalini as one of the Top 50 (Top 1%) pediatric GIs in the country! And according to Executive Director, Carol Shilson, "the GI Section (which Dr. Guandalini runs) was ranked again among the Top 52 in the country (out of more than 400) at position #37." Impressive beyond words. I have my work cut out for me but I feel I've finally found my place amongst such passionate and amazing advocates who are changing the Celiac world each and every day, bringing us all closer to finding a cure one day. There's another significant reason I'm writing this post and expressing my gratitude. You see, last Thursday I was involved in a scary situation while driving my car. It was nearly my last day on earth had it not been for the two seconds of time I was granted to look to my right and hit my brakes, avoiding what would have surely been a horrendous accident. No exaggeration necessary; only the truth. You see, I was driving on a normal city side street and this jackass-of-a guy completely ran his red light and came barreling into the intersection where I had the green light and was proceeding directly into his oncoming path. He was driving a large white utility truck with a big piece of equipment in tow...so between the speed he had gathered in order to race through the red light, combined with the weight of his vehicle + trailer, had he T-boned my car, I had the most profound feeling in that instant (while blaring my horn along with a variety of swear words) I would have surely been killed or horribly injured. No question. In an split second he passed before my car and I was left stunned. As I pulled over to the curb, trying to compose myself and stop shaking, I was overcome by the realization that my life had just been spared. One person's very poor decision, most-likely made instantaneously and without thought of the repercussions, could have determined my last moments alive. Clarity prevailed that afternoon as I sat in a church I stumbled into, finding the doors open and perfectly empty. For a long time I thanked God (and my Guardian Angel, Shanel...whom by the way, my sister-in-law commented has most likely become a chain smoker by now) for protecting me in that moment. I have so much more life to live, people to love and support, a world to see and let's not forget, my Celiac work that's really only begun. It wasn't my day to depart from the planet and I know it. Things have refocused for me very quickly and every day since last Thursday I've awakened saying, "thank you." I'm reminded of what's truly important and what to just let go of. The flowers (above) were sent to me from my amazing parents. The card spoke of their gratitude for me "still being here." The truth is, I'm the grateful one, not only to have parents who would lovingly grace me with such generosity but for knowing that I have much work to still do, life to be lived, and all be damned, I'm NOT leaving yet! If I might suggest or gently remind...tell everyone you love how you feel today before they leave for work, or even head out for a bicycle ride. We live on a fabulous spinning planet where every day is yet to be determined and every moment truly is precious. GlutenFreeTravelSite Has Big News to Share! GlutenFreeTravelSite, the #1 source for all things related to Gluten Free Dining and Travel, today unveiled their newly re-designed website with a fresh look, expanded content, and new features. 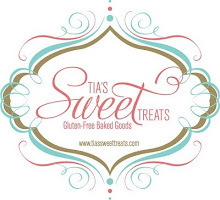 Visitors to the site will be pleased to find the same user-friendly functionality that allows them to search for “gluten-free friendly” businesses wherever they live or travel. User-submitted reviews of restaurants, bakeries, stores, hotels, resorts, and cruises can be accessed via a broad search by state or country – or a more narrow search by town or zip code. Launched over four years ago, GlutenFreeTravelSite is the original and most robust source of user-submitted online dining and travel reviews. Recently, they announced a partnership with the Celiac Sprue Association, which will use the site’s review platform as a way for their members to share their valuable gluten free dining and travel feedback with the wider gluten free community. GlutenFreeTravelSite also has begun encouraging gluten free college students to submit reviews of their colleges’ dining services. This database of gluten free college reviews will help prospective students with Celiac gather the facts they need when evaluating colleges. All reviews on GlutenFreeTravelSite – as well the site’s helpful listing of restaurant chains offering Gluten Free Menus – are also accessible via GlutenFreeTravelSite’s Mobile Version. There’s no cost and no need to “download” anything. 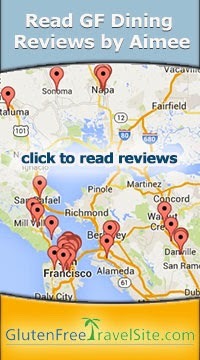 Smart phone users (iPhone, Android, or Blackberry) are automatically routed to the mobile version of the site where they can easily navigate the site “on the go,” searching reviews by town or zip code – and then linking to the user-submitted reviews. GlutenFreeTravelSite was founded in 2008 to give people on gluten free diets a place to share personal feedback on “gluten free friendly” restaurants and travel destinations in the U.S. – and around the world. GlutenFreeTravelSite holds monthly contests to select a particularly helpful review, which they showcase on their Featured Review page, as well as an annual contest to select the “World’s Most Celiac-Friendly Destination.” Past winners include New York, Florida, Washington DC, and California. You can keep up with the latest gluten free dining and travel news by subscribing to GlutenFreeTravelSite’s free monthly e-letter, subscribing to their Blog feed, and following them on Facebook,Twitter (@gftravelsite) and Google+.